Our goal again this year was to procure more variety in Darjeeling teas than we formerly offered ‘back in the old days’. The weather seemed to agree and has helped to produce many delicious teas for 2018. We will have Darjeeling teas with a softer, less astringent flavor profile, and also ones in the more modern, ‘European’ style. So whatever style you prefer – or if you enjoy them all – this is a great year for tea, and Darjeeling in particular. The more normal amount of rainfall has increased the moisture in the leaf which leads to less breakage and a deeper flavor and better keeping potential. Also the teas will likely ‘age’ well and increase in flavor rather than diminish over the next 10-15 months. Bob selected Tea Trekker’s 1st Flush Darjeeling teas for 2018 pretty much at the normal time of the spring, and those deliveries have been arriving steadily by both air courier and surface transport. Check the listings regularly for new additions, and also for the 2nd Flush teas in September! This well-made, 2018 2nd Flush tea is simply delicious. 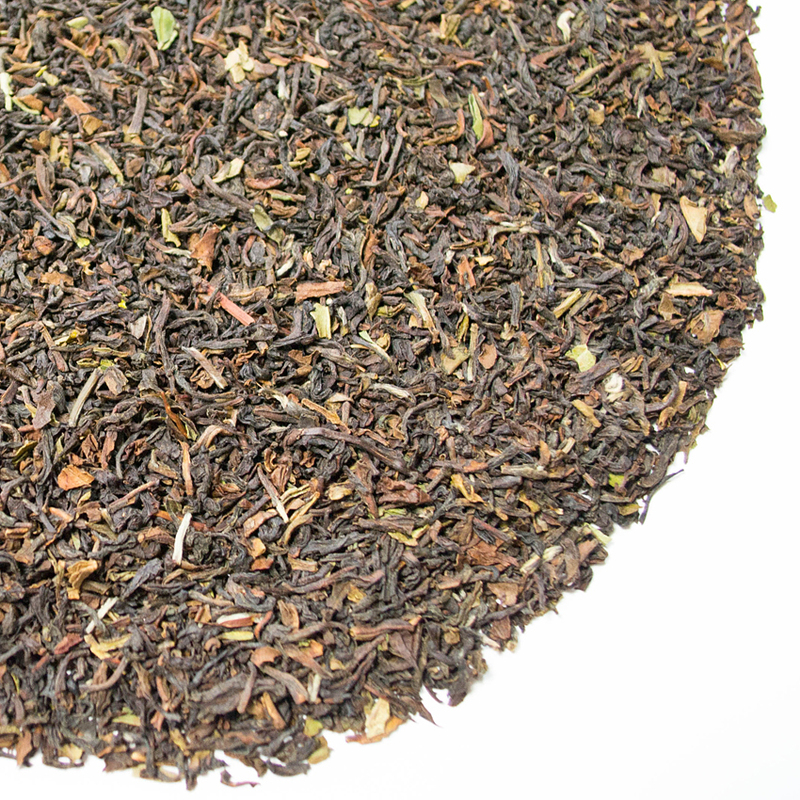 Its flavor profile is remarkable and is among the finest Darjeeling manufactures of this or any other season. Kanchaan Tea Estate is once again one of the leading tea gardens in Darjeeling. The last decade has seen much change in the management of the estate and the tea that is being produced here is back to what it was when this garden was in its heyday and extremely famous for highest quality Darjeeling tea. This year’s 2018 2nd Flush Kanchaan View Tea Estate Darjeeling tea first draws you in because of the enticing aromatic style that the dry leaf exhibits. The leaf is an even, old-fashioned ‘chop’ in style, showing slight tip and no modern ‘German green’ style leaf. 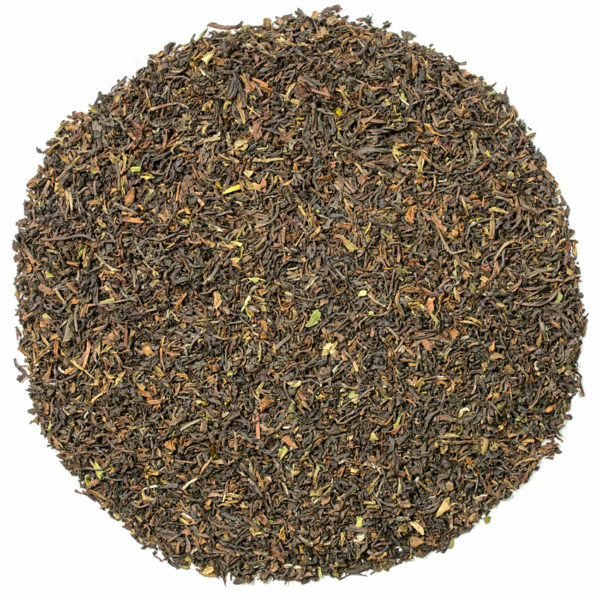 Clean, brisk, and of a quality that is quite distinctive, the aroma of this tea readies the palate for a taste treat. The dry leaf is a classic ‘tweed’ of color and texture, both dark and rich in color, showing shades of umber and mahogany that we rarely see in a contemporary Darjeeling, but also lighter-colored leaf and some tip, offering a visual treat for the eye’s palate. The first sip is very clean, crisp and smooth, with a gentle astringency that intrigues the palate. The tea is perfectly smooth, delightful, and refreshing. The aroma continues to show a clean, brisk and rich style as the leaf steeps. The clean aroma features the stone fruit aromatic of apricot; as well as some nuttiness – mostly hazelnut. There is a melon rind dryness in the aftertaste that lingers pleasantly on the palate for quite some time. Though generally soft in style, no coaxing of flavor is required from this leaf, as it fills one’s mouth with busy sensibility. Overall, this tea, with its old-fashioned Darjeeling style: being mild but having deep flavor, is a treat for the Darjeeling enthusiast and also a grand introduction to a time gone by in the world of premium tea. Kanchaan View teas are famous for having a wonderful, deep orange-amber coloration in their liquor, and this tea has this coloration in abundance. The Kanchaan Tea Estate is very old, having been established in 1895. It was once a major garden, operating under its former name of Rungeet Tea Estate and employing more than 500 workers in one of the largest tea factories in Darjeeling to produce a large quantity of premium 1st and 2nd Flush Darjeeling tea. Following a period of less-than-spectacular harvests, the garden was re-named in 2002 and down-sizing began so that the balance of leaf being harvested and tea being manufactured was appropriate. Today the garden is back to producing some of the finest leaf and tea in Darjeeling, from bushes 80-120 years old, in a new, smaller-sized, and manageable tea factory. The Estate employs approximately 120 workers with about 40 workers added seasonally. The view of the Kanchenjunga from this garden is world-famous, poised as it is in view of some of the highest peaks in the world.